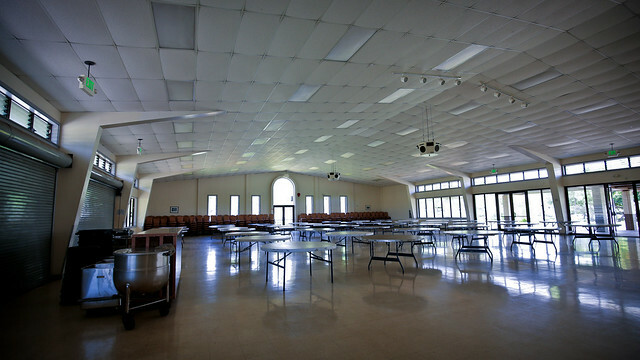 All halls include free parking, tables and chairs to fit capacity, podium, fully stocked bathrooms, and a full kitchen. With the exception of Kakesako Hall, halls do not have Audio/Visual equipment. (Only Weinberg & Burns have stages) (Kakesako has no stove). Rental includes cleaning service for floors, bathrooms and kitchen. Minimum rental: 4 hours. Both, remaining balance and proof of special duty officer(s) are due 30 days prior to event. Damage deposit of $400.00 is refundable, but will be determined by any damages or fines, and by the “Customer’s Check-Out List”.